Play this great Sticky Bandits slot today and sign up to one of our featured casinos to get your hands on free spins and huge bonuses! Spin to win on Sticky Bandits now! Ever wanted to go to the Wild West and enjoy what they enjoyed the most back in the days? Are you ready to face some of the fastest pistol legends in town and claim the great title? You are in the right place, as this is one of the most awesome games that speaks exactly about that. Meet Sticky Bandits Slot! The five-reel, 30 payline video slot from Swedish software providers Quickspin. To play this awesome game, you need to select a casino on the side of the review and enjoy what it offers. The denomination that you can play with starts from 15p and goes all the way to £90 where you will be playing with a standard RTP of 95.00%, which is an acceptable number. Play this western themed slot game for the chance to spin and win great cash prizes. 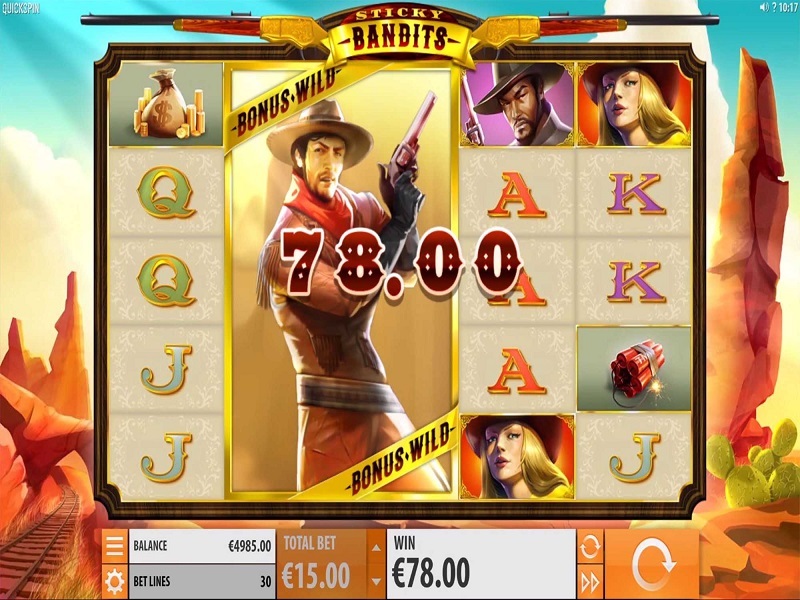 Sticky Bandits is a fantastic looking online video slot and the western theme is apparent, even beyond the name. The graphics are great and matched by the gameplay, providing players with a well-rounded slots experience when spinning to win on Sticky Bandits. The symbols are all on-theme, including those of lower value; the J, Q, K and A playing card symbols are designed in a typical spaghetti western font. It’s the higher value symbols that really stick to the Sticky Bandits theme, however, meaning you can land the likes of dynamite, a bag of coins, and three western desperadoes. Aside from the standard symbols, you can land two of the desperadoes as Massive Wild symbols. They’re effectively stacked symbols, covering more than one row on the reels and they act as both wilds and bonus symbols, substituting for all others. There’s also a train bonus symbol which triggers the free spins bonus round and this can appear anywhere on reel one, but we’ll explain more on this later. Sticky Bandits caters to slot players of all budgets as you can spin from as little as 15p and as much as £90! Before you play the Sticky Bandit slot and spin to win great cash prizes, you must select your stake for each spin. Because all 30 paylines are fixed, there aren’t many variables to consider when deciding on your stake. 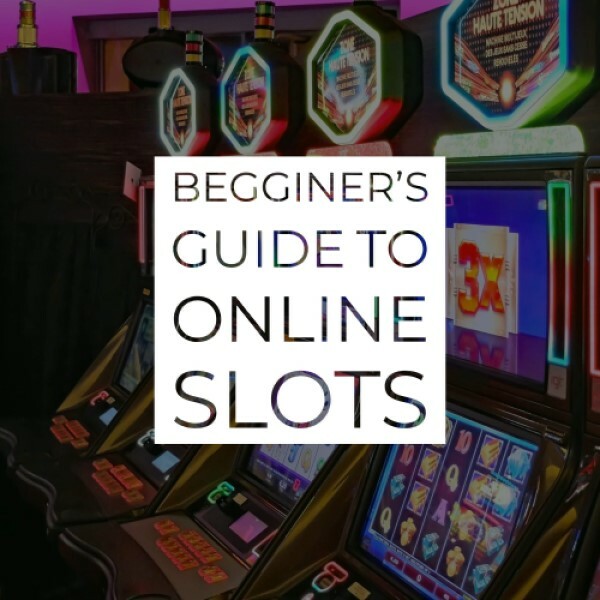 The previously mentioned amounts of 15p and £90 are the minimum and maximum you can play with, and these amounts and those in between are fixed and relative to all 30 paylines. Once you’ve chosen your total bet at the bottom of the screen, you can start spinning and this is easily done by using the spin button in the bottom right of the screen. There’s also an autoplay feature, meaning you can set the reels to spin consecutively either 10, 25, 50, 75, 100, 500 or even 1000 times, meaning you can sit back, relax and watch the slots action unfold. As is the case with all slots, you’ll need to land combinations of three or more symbols in order to receive a payout. The payout you do receive is dependant on which symbol you land and of course how many. The symbols will need to land consecutively across the reels from left to right. The most lucrative symbol to land is the female desperado and you’ll receive an impressive 200x your coin size for landing five across a payline. Aside from landing standard symbols, you can secure cash prizes with the help of the Massive Wild symbols too and these appear on reels two and four. The Massive Wilds will substitute for all others, meaning they can fit in to create symbol combinations. You can also win cash within the free spins bonus round, and we’ll explain more on this below. There are several Bonus Features in Sticky Bandits slot, and here they are! Some may consider the Massive Wilds as a bonus feature and there is plenty more where that came from when playing Sticky Bandits. There’s a train bonus symbol with is responsible for triggering the free spins round. When you land the train bonus symbol on reel one and a Wild symbol on reel two or four, you’ll be awarded seven free spins. Plus, the reel positions that are wild when this bonus feature is triggered will remain this way for the duration of the free spins. The bonus symbol isn’t available during the free spins, however. Overall, the Sticky Bandits slot is a great one and you can enjoy plenty of western action when spinning to win on this game from Quickspin. Land combinations of fantastically drawn symbols to land cash prizes. Sticky Bandits is a thrilling slot and with 30 paylines, there are plenty of ways to land winnings combinations. We’d recommend giving this slot a go, especially with the addition of a free spins feature, meaning you can get your hands on cash for free, once triggered.